Ethiopia and other countries of the Horn are highly vulnerable to the impacts of climate change. Without swift action, a changing climate could have very serious implications for the countries of the Horn and the well-being of their people. Regional organizations including the Horn of Africa Regional Environmental Center and Network (HoA-REC&N), hosted by the Addis Ababa University, are thus taking part in various initiatives to help curb climate change and mitigate and adapt to its current and future impacts. Accelerating innovation and technology transfer have been identified as essential tools in tackling the long-term cost of climate change. It was as a result of a thorough market assessment that the World Bank’s infoDEV, in 2011, examined the feasibility of establishing a Climate Innovation Center as a facility dedicated to enhancing climate innovation in Ethiopia. In the aftermath of the feasibility study, the Ethiopia Climate Innovation Center (ECIC) was launched in March 2014. This new initiative is supported by infoDev and is part of a Global Network of Climate Innovation Centers being launched by infoDev’s Climate Technology Program (CTP) in the Caribbean, Ghana, India, Kenya, Morocco, South Africa, and Vietnam. The Ethiopia CIC is funded by the United Kingdom’s UKaid and the Norwegian Ministry of Foreign Affairs. ECIC is a key component of DFID’s Strategic Climate Institutions Program (SCIP) in Ethiopia and the Government of Ethiopia’s Climate Resilience and Green Economy (CRGE) vision – which provides Ethiopia with a common goal and road map for achieving a climate resilient green economy by 2025. The center is managed by a consortium led by the Horn of Africa Regional Environment Center and Network, a regional center hosted by Addis Ababa University and other public and private sector partners. 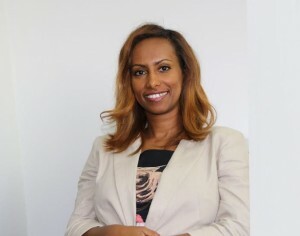 Established to support Ethiopian Small and Medium Enterprises (SMEs) which are developing innovative solutions that address climate change challenges, ECIC further aims to accelerate the development, deployment and transfer of climate technologies by providing SMEs with a set of holistic country-driven support services, including early-stage financing, business support and capacity building. As stands, the center has four pillars: mitigating the effects of climate change by supporting the private sector; providing business advisory service; organizing trainings, and doing and facilitating policy research. Through its programs, activities and financing, the Ethiopia Climate Innovation Center and its network of partners and stakeholders are currently providing a regionally-driven approach to solving climate, energy and resource challenges and support economic development through job creation. To expand its regional networks, ECIC has recently signed a Memorandum of Understanding (MoU) with Bahir Dar and Hawassa universities. The center is launched in both Universities and supporting entrepreneurs from Amhara and SNNP regions. The Ethiopia Climate Innovation Center has a mission of providing a holistic set of early-stage financing, business support and capacity building services to the Ethiopian private sector, including women and rural-based entrepreneurs and business owners, working to develop, launch and grow innovative climate technology venture that promote Ethiopia’s climate resilience and green growth. The Ethiopia Climate Innovation Center has a remarkable track record of support for Ethiopian private business entrepreneurs through financing, business support and capacity building services. So far, it has successfully launched the first, the second and the third Proof of Concept (POC) competitions. According to ECIC’s CEO, W/rt Tehut Tesfaye, the center released the grants to winners who had submitted their business application to the first and the second proof of concept competitions. “We have funded 19 business entrepreneurs,” Tehut said. ECIC has also successfully launched the third proof of concept competition. Subsequently, it will award selected clients from 33 semifinalists. The Proof of Concept Competition is a platform that welcomes every interested business entrepreneur to submit their business application. “Every year, ECIC selects applicants from the POC competition that will become beneficiaries of the ECIC program. The POC call for proposals or competition is announced through the ECIC website and different media outlets. Then, people submit their business proposals. ECIC evaluates each proposal based on various criteria such as business viability, survivability and alignment with the aims of the Climate Resilient Green Economy (CRGE) strategy. Finally, the winners will be awarded the grant,” she explained. University students can also benefit from the services of the ECIC by participating in this annual Proof of Concept competition. Presently, ECIC has 63 client companies. These clients come from different Climate Technology Sectors that ECIC is mandated to work on. Some of the major services ECIC has been providing to these 63 client companies which are scattered across the country include providing trainings and seminars on branding, team management, new business development, grant reporting, equity investment, letter of credit, appreciative enquiry and pitching business ideas. With regard to the development of communication, ECIC has developed the first Product Information Database which will help entrepreneurs get all the information they need. In addition, ECIC developed Investor Database which is meant to provide accurate and timely information for investors. 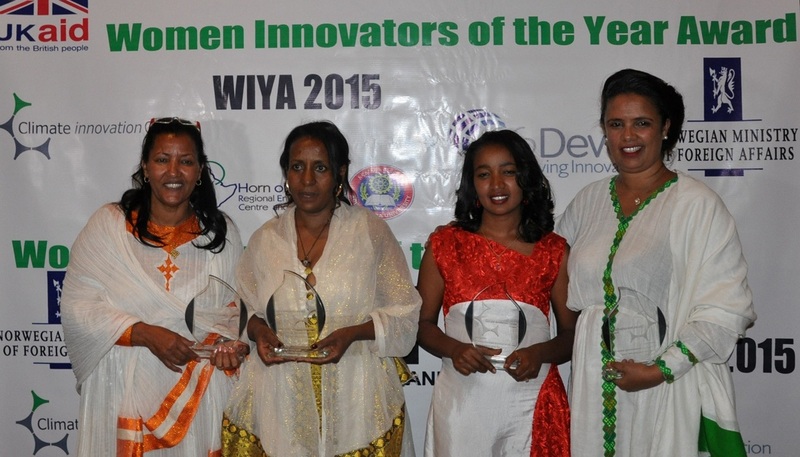 As a result of this, ECIC has set up the Women’s Special Interest Group (WSIG) platform to understand the existing state of affairs in women entrepreneurship in the country and design appropriate programs to support the wave of women-led innovation in Ethiopia. So far, ECIC in cooperation with its partners, has hosted various events and conferences in the form of Women’s Special Interest Group (WSIG) meetings, Investor and Entrepreneur Meet-ups and Entrepreneur’s Pitch Competition. Climate technology sectors supported by the ECIC include: Micro-hydro, Transportation, Energy Efficiency, Sustainable Agribusiness, Bio-Fuel and Bio-Mass, other clean technologies (recycling, renewable, water filtration, sanitation) and Clean Technology Support Business Models. ECIC has plans to provide funding for up to 40 climate technology entrepreneurs and equity investments for over 20 companies thereby generating up to 2,800 direct and indirect jobs along with over 12,000 long-term jobs within the coming five years.